In his second collaboration with Ryan Gosling and Cliff Martinez, Nicolas Winding Refn has followed up from his classic thriller Drive, a well received film I may add, with something that has split the critics apart. Some are calling this film a masterpiece, whilst others consider this the worst film ever made. 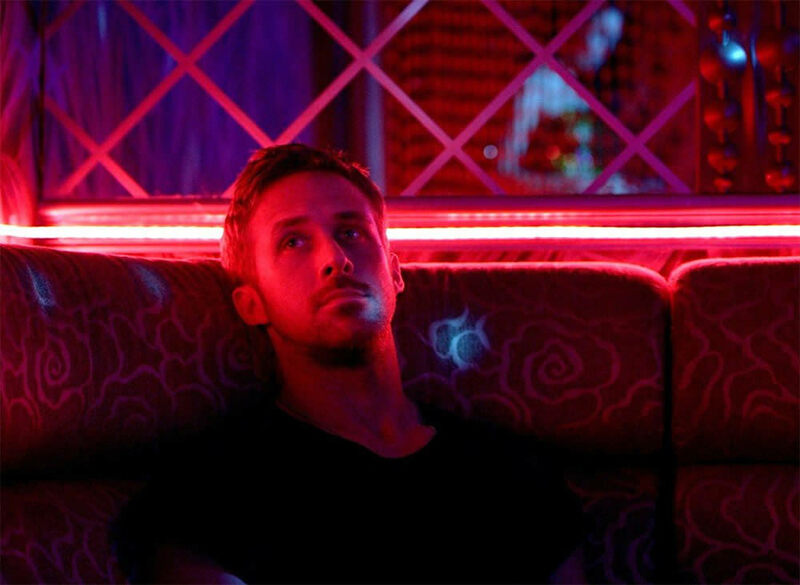 Set in Bangkok, Thailand, Only God Forgives follows the quiet and traumatised Julian (Gosling), a man who owns a kickboxing dojo, a front actually for smuggling drugs. After his brother is murdered, Crystal (Kristen Scott Thomas), Julian’s mother demands the blood of the person who killed him. Who is this person you might ask? This person is Chang (Vithaya Pansringarm), a vengeful Lieutenant offering a very harsh and brutal approach to policing. What Julian and Crystal don’t know, is that Chang has several supernatural powers. Julian is very quiet but his actions pull through as the anger is fuming inside him wanting to come out through his fists. As Julian discovers more about his brothers killer, a cat and mouse chase endures, and whether it’s surreal or not…it’s sickening, intimately silent and minimalistic (especially in Julian’s damaged head). The film may not be for everyone. As much as I love the film reading more and more about it, when I saw it in the cinema it was confusing. I knew it wouldn’t be like an obvious sequel to Drive but I never expected the surrealism to hit you at every turn, making it more mysterious and making me want to watch it more and more. It felt very much at first a slow start, but after reading, it’s for all the right reasons for it’s ultimate climax. There are some things which I felt were too much, for example, the karaoke scenes with Chang as the star after he does justice, but it does make sense considering Refn has said karaoke is treated “like a religion” over in Thailand, something I myself never realised despite being to Thailand over 4 times! The music composed by Martinez is fantastic, offering dark and droning synth pop against the darkest sides of Thai culture as the protagonist and antagonist are on the hunt. Gosling and Scott-Thomas portray their characters very well, Gosling offering a very shy and almost weak protagonist whilst Scott-Thomas presenting the worst mother to have in mourning of her dead son whilst in dire need of revenge. The cinematography by Larry Smith is also astonishingly beautiful against the backdrop of Bangkok, offering contrasting colours against long shots, close ups and mid shots. All and all, a beautifully crafted film. A word of warning however, it is a film which may confuse, so it is worth watching and reading theories of this film in order to understand it more. This is a film that will stick to you whether you like it or not!